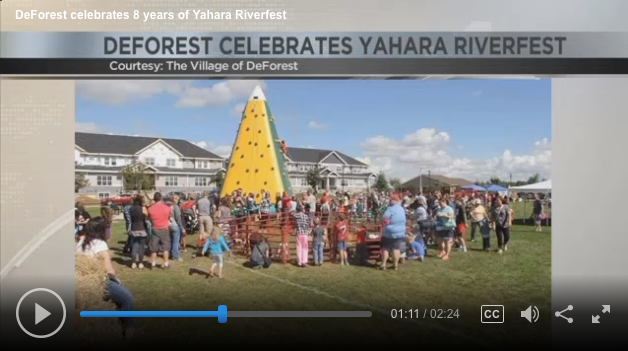 DEFOREST (WKOW) — The natural beauty and abundant amenities of the Yahara River will be celebrated for the eighth year in a row at Yahara Riverfest on Saturday, September 9. On Friday, Nicole Moll stopped by Wake Up Wisconsin to talk about the event. Guests are invited to enjoy this fun-filled day of outdoor exploration with nature themed activities, live music, petting zoo and amphibian exhibits, and food and beer. 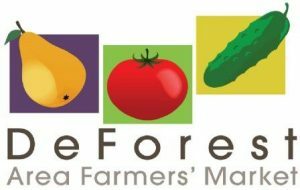 The event begins at 12:00 p.m. at Conservancy Commons Park in DeForest. Kids young and old will get hands-on experience of river life through an amphibian exhibit by the Madison Herpetology Society, as well as a river critter exploration and fishing clinic provided by the Friends of the Yahara River Headwaters. Popular activities to return this year include: prairie thunder cloggers, rubber duck decoration and race down the river, back-yard bass fishing game, pumpkin decorating, tractor and horsedrawn wagon rides on the Upper Yahara River Trail, and crafts that combine elements of nature and individual creativity. Live music will be provided by Doug Cleary. Kids meals and food items from food carts will be available for purchase during the family activities. For the adults, the DeForest Area Chamber of Commerce will be selling fall inspired beer and wine.